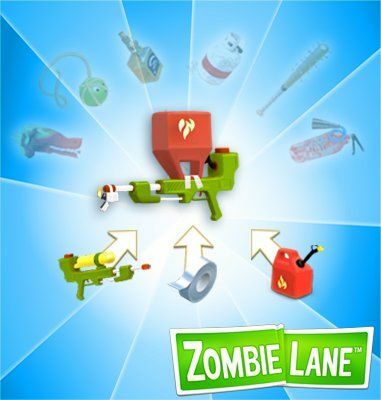 Start off wielding a no nonsense shovel to whack the unwanted ghouls down and move up to bigger better weapons like flaming gloves, shotguns, turrets and more. 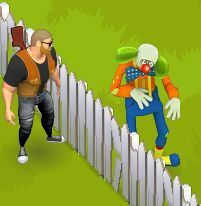 Expand your fence, rebuild structures and take back the neighborhood. 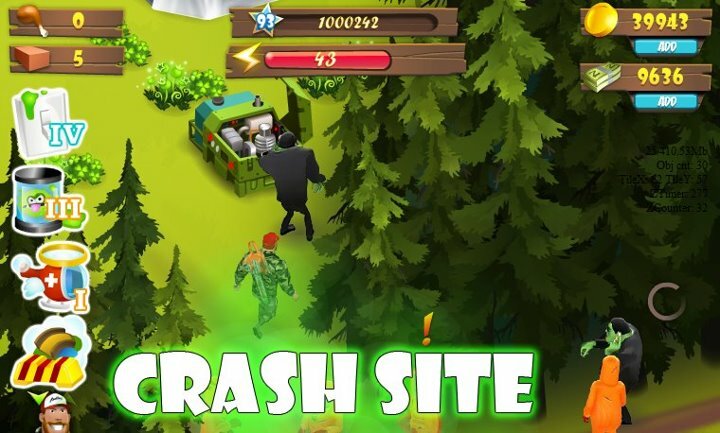 Level up from fighting zombies, collect the coins and items they drop and complete quests. 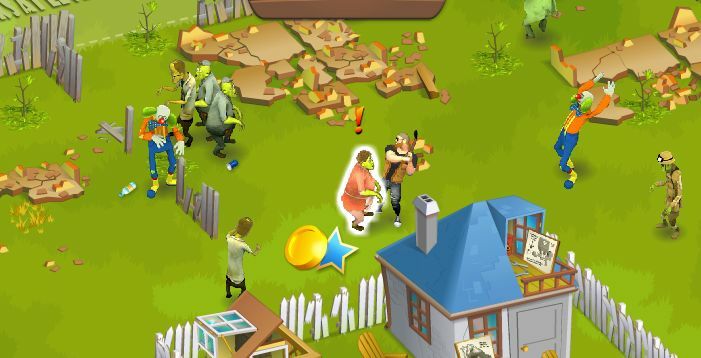 Start off as a lone survivor in the crumbled remains of what used to be your house as your neighbors are in hiding, the streets and buildings turned to rubble and a horde of zombies trolls right outside what remains of your fence. 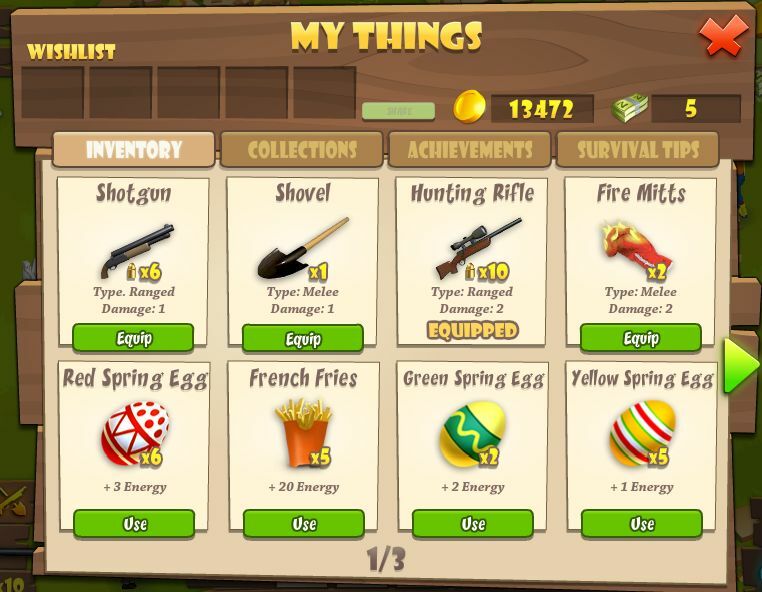 Equipped with nothing but a shovel and your wit you must fend off the walking dead and use what you find to craft better items, finish quests and ultimately rebuild your neighborhood, free of the zombie infestation. 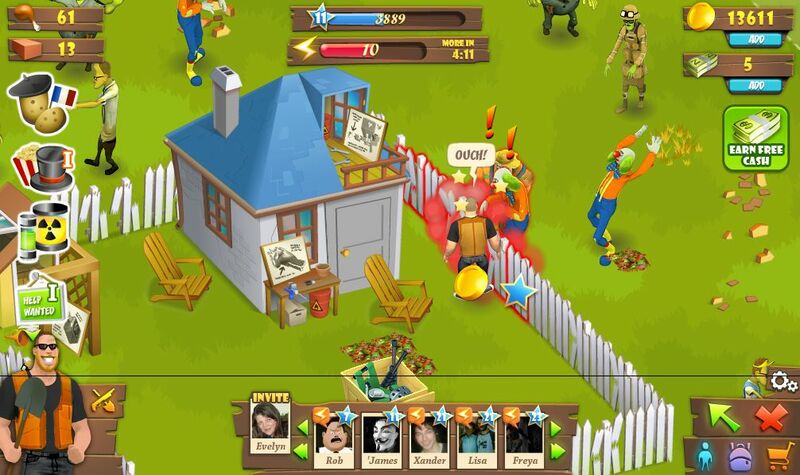 XP: Fight zombies and complete missions to collect experience and level up. 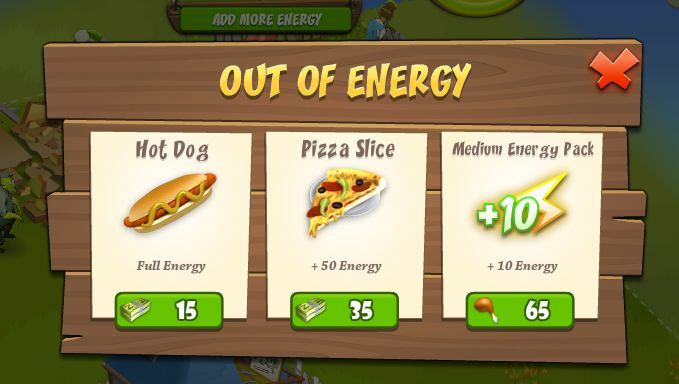 ENERGY: All actions require energy. The first task in it is to grab a shovel to bat to death the zombies harassing Rod, the security guard and the first quest-issuing NPC. 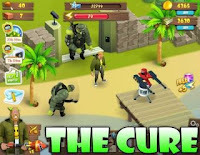 The game is basically quest-driven: one task leads to another unlocking more playable activities and upgrading character levels; and all are coherently connected to hold tight to the main storyline. Imagine this: we even need to complete quests so as to unlock our Spouse and our dog. All interwoven into one story, various quests turn their own turn to show up, keeping us occupied with different fun. 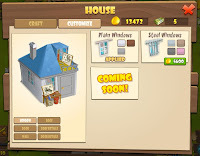 We will kill zombies, clear away rubbles, repair and upgrade the house(and craft weapons in it), plant crops and fruit trees to harvest food, hire friends for help and pay visits to neighbors, etc. Zombies are designed into different images, matching 9 different classes including salesman, janitor, waitress and construction worker and so on. Correspondingly, there are nine Collections, each made up five different objects useful in the very profession. 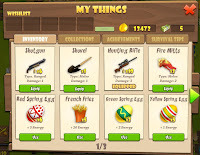 We can collect these items by killing zombies. If five pieces are complete, the collection can be traded for coins. Yet more importantly, these collected materials are needed in some quests to propel the storyline forward. For instance, to rescue the Farmer (who is needed to unlock the crop-planting gameplay) from a super powerful zombie with 8 Health, we need a pair of Fire Mitts, a crafted weapon out of the boxing gloves from the supermart zombie and motor oil from the salesman zombie. 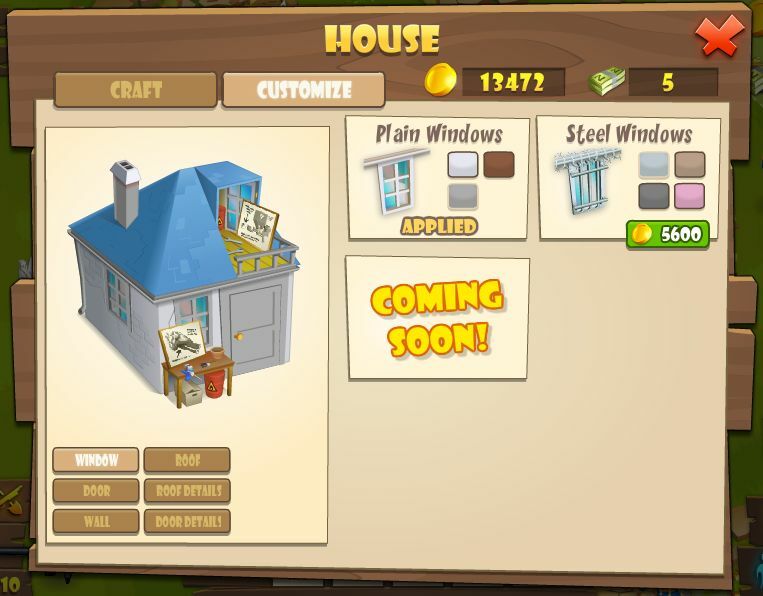 And if we want to upgrade the house for more crafted items, we need certain amounts of Blueprint by killing construction zombies. The zombies are able to fight back, however limited they may be, they can swing at you causing your avatar to be stunned for a moment but no real damage will pursue so you wont be killed or turned into a zombie yourself. All in all Zombie Lane is a decent game but you cannot get really into it without an active group of neighbors, I enjoyed the ironic humor apocalyptic story line and endless supply of zombies. The restraining energy system isn't so great but you can somewhat compensate for that with enough Zombie Lane friends. 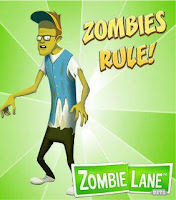 Zombie Lane is significantly similar to FrontierVille, but has a different feel, as well as the bonus of the zombie aspect. Add lots of friends, visit they're houses and do chores for them. ** Share your tips, tricks, strategies or additional content in the comments.